As soon as you honor the present moment, all unhappiness and struggle dissolve, and life begins to flow with joy and ease. When you act out the present-moment awareness, whatever you do becomes imbued with a sense of quality, care, and love - even the most simple action. Reading is my passion and my escape since I was 5 years old. Overall, children don't realize the magic that can live inside their own heads. Better even then any movie. I have lived with several Zen masters - all of them cats. Death is a stripping away of all that is not you. The secret of life is to "die before you die" - and find that there is no death. Die before you die and find that there is no death. Those who do not attempt to appear more than they are but are simply themselves, stand out as remarkable and are the only ones who truly make a difference in this world. Time isn’t precious at all, because it is an illusion. 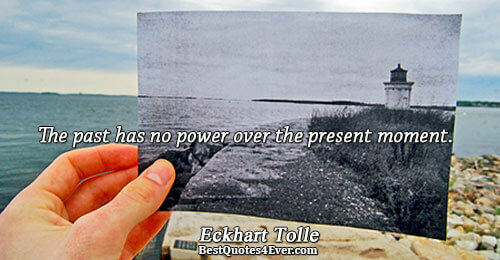 What you perceive as precious is not time but the one point that is out of time: the Now. That is precious indeed. The more you are focused on time - past and future - the more you miss the Now, the most precious thing there is.